2015 Aprilia Dorsoduro 750 ABS. Picture credits - Aprilia. Submit more pictures. The Aprilia 750 90� V-twin engine has technical characteristics that place it at the top, not only among engines with the same capacity. Extreme mechanical sophistication, but also advanced electronic management, with specially developed mapping to emphasise the fiery character of the 749.9 cc engine. Ask questions Join the 15 Aprilia Dorsoduro 750 ABS discussion group or the general Aprilia discussion group. Bikez.com has a discussion group for every motorcycle. Here you may find answers to common questions about the model. If you do not find what you are looking for, you can ask questions. 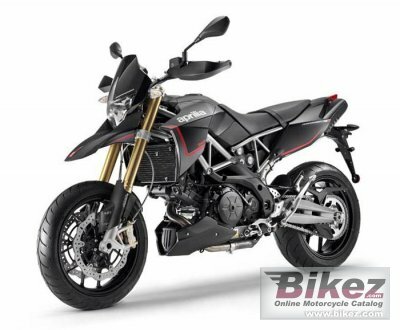 Try out the 2015 Aprilia Dorsoduro 750 ABS discussion forum. You can sign up for e-mail notifications when other users answer you. If you have information about any technical issue related to this motorcycle, please leave a comment for other riders.